Pedro Aphalo, Ford Denison, Peter Langridge and Victor Sadras conceived and developed this project. The project crystallised with the support of OECD Co-operative Research Programme: Biological Resource Management for Sustainable Agriculture Systems, sponsoring the attendance of European and North American scientists. We are particularly grateful to Primal Silva and Gary Fitt (CRP leaders), and Janet Schofield (CRP Secretariat) for their support and professional input. 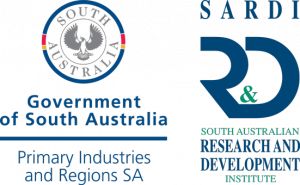 The South Australian Grains Industry Trust (SAGIT), and Grains Research and Development Corporation (GRDC), kindly provided additional funding to support the workshop. We thank Mariano Cossani, Lachlan Lake, Toni Pihodnya and Gemma Weedall for venue logistics and organisation. Malcolm Buckby’s career has ranged from being the manager of a family farm to being the elected representative for the Light electorate in the House of Assembly in the South Australian Parliament, serving as the Minister for Education, Children’s Services and Training, Shadow Minister and Member of Standing Committees. 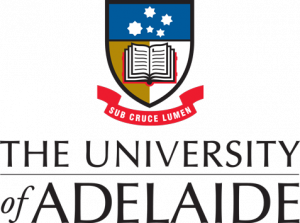 My time as a Research Economist at the University of Adelaide gave me the knowledge of the SA economy and the privilege of working with some of the best economic minds in the state. I am currently the Manager of the Rural Services Division of the Royal Agricultural and Horticultural Society of SA and deliver administration and policy advice to a range of rural bodies including Beef and Sheep Societies, SA’s Country Shows and the SA Grain Industry Trust. 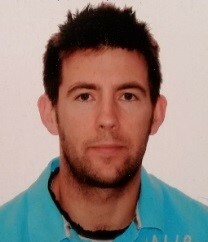 Lachlan Lake is a pulse physiologist in the Sustainable Systems Research Division, SARDI. Lachlan has been working in agricultural research since 2003 in projects focusing on Australia’s major pulse species in projects investigating physiological drivers of yield, stress adaptation, N fixation, disease resistance and modelling. Lachlan completed his PhD in chickpea physiology at the University of Adelaide and is currently undertaking a GRDC funded Postdoctoral Fellowship investigating canopy dynamics and waterlogging tolerance in lentil. Lachlan’s work has been driven by the importance of pulses in sustainable farming systems and the need to improve pulse adaptation to Australian conditions in the face of limited resources. Bill Long is a farmer and for the past 23 years has managed his own company – Ag Consulting Co, a South Australian based agricultural consulting business established in 1995. The company provides agronomic and farm business management advice to farm businesses across SA and manages and conducts research and communication projects to growers on a range of agronomic and farm management issues. He has participated in and managed projects on carbon, climate, snails, controlled traffic, seeding systems, inter-row sowing systems, cereal and pulse canopy management, leaf disease control in cereals and pulses, weed management, plant growth regulants, pollination, soil carbon and stubble. He has been a member of the BCG Yield Prophet team to improve understanding of soil water and the use of crop modeling to assist advisors and farmers knowledge on soil water/plant production relationships. He was a founding member of the Yorke Peninsula Alkaline Soils Group, the SA and Vic Independent Consultant group and the Ag Excellence Alliance and is past Chairman and committee member of; SA GRDC Advisor Update Committee, TopCrop SA, Crop Science Society of SA and the Snail Management Action Group and the Grain Pest advisory group. He served on the GRDC’s southern panel from 2011 until 2017. Bill has developed farm business benchmarking programs and was involved in the development of Plan to Profit®, a farm business analysis tool. Bill holds a bachelor of Applied Science in Agriculture, is a graduate of the Institute of Company Directors and undertook studies in the use of decision support tools and farmer and advisor decision-making processes. He has a keen interest in ag extension and adoption practices. In more recent times and as a result of the studies in decision-making, Bill spends more time with clients running farm boards and thinking strategically about their business management and development opportunities. With his wife Jeanette and son Will, he grows lentils, chickpeas, beans, cereals and canola, and runs sheep on his properties on Eyre Peninsula and the mid north in SA. He is passionate about the grains industry and enjoys the complexity and challenges of understanding and managing farming systems across Australia. 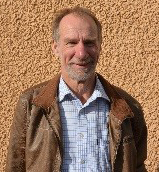 John Kirkegaard is a Chief Research Scientist at CSIRO Agriculture and Food, based in Canberra and Adjunct Professor at the University of Western Australia and Charles Sturt University. He was raised on the Darling Downs in rural Queensland, studied agriculture at The University of Queensland where he received his PhD studying the effects of soil compaction on the growth of grain legumes in 1990. 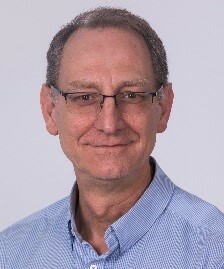 The same year, he joined CSIRO Plant Industry in Canberra to work on the Land and Water Care Project, and his subsequent career at CSIRO has focussed on understanding soil-plant interactions to improve the productivity, resource-use efficiency and sustainability of dryland farming systems. 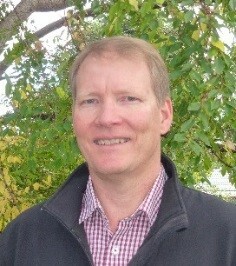 Over the last 28 years, his research teams and collaborators have investigated aspects of improved crop sequence, rotational benefits and productivity of canola and other Brassica species, improved subsoil water use by crops, development and integration of dual-purpose crops, and improved productivity in conservation agriculture. He has led numerous national research programs, is a regular invitee to international forums and advisory committees on agriculture and food security, and was Visiting Professor at Crop Science Department, University of Copenhagen in 2012. A hallmark of his innovative research has been his active integration of farmers and advisers into his research teams, which has undoubtedly led to more rapid adoption and impact in agriculture. He was recipient of the grains industry “Seed of Light” award in 2009 for effective communication of research results to industry, and in 2014 his GRDC National WUE team was awarded the Eureka Prize in sustainable agriculture for research to improve the water-use efficiency of Australian agriculture. He was elected a Fellow of the Australian Academy of Science in 2016, was recipient of the Farrer Medal for distinguished contribution to agriculture in 2017, and is an ISI Web of Knowledge Highly Cited Researcher for Agricultural Sciences in 2018. 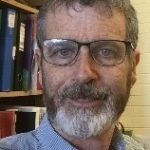 Allan Mayfield brings extensive agronomy and farming knowledge and 40 years of experience in government and as an independent agronomic consultant to his role with the South Australian Grain Industry Trust. 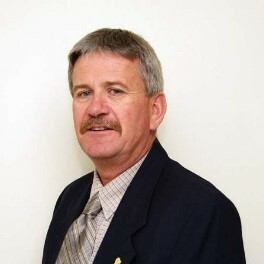 Allan has a Bachelor of Agricultural Science and PhD in Plant Pathology. He was instrumental in setting up the Hart Field Site and starting precision agriculture and associated research in South Australia. 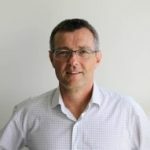 His industry involvement is extensive and includes seven years as a GRDC Southern Panel member, six years as research coordinator for SPAA (Southern Precision Agriculture Australia) and 10 years as the research manager for the Hart Field Site Group. In addition to his role with SAGIT, he assists the Grains Research and Development Corporation in project management. He is a life member of the Crop Science Society of SA, a fellow of the Australian Institute of Agricultural Science & Technology, and a Churchill Fellow 2002. John Porter is an internationally known agro-ecological scientist with an expertise in ecosystem services in agro-ecosystems, including agro-ecology, simulation modelling and food system ecology. His main contribution has been multi-disciplinary and collaborative experimental and modelling work in the response of arable crops, energy crops and complex agro-ecosystems to their environment with an emphasis on climate change, ecosystem services and food systems. Porter has published 145 papers in peer-reviewed journals out of a total of about 350 publications. On average, his peer-reviewed papers have been cited more than 100 times each. He has personally received three international prizes for his research and teaching and two others jointly with his research group. His career H index is 57 and with 131 papers receiving over 10 citations. From 2011 to 2014 he led the writing of the critically important chapter for the IPCC 5th Assessment in Working Group 2 on food production systems and food security, including fisheries and livestock. This chapter was one of the most cited from the IPCC 5th Assessment and formed an important scientific bedrock of the COP21 agreement in Paris in 2015. Francis Ogbonnaya is the Program Manager, Oilseeds and Pulses, Grains Research and Development Corporation (GRDC) and has served at various levels within the organization. At GRDC, Ogbonnaya has been involved in setting R & D initiative and strategies that have strongly influenced and promoted innovative R & D options aimed at delivering enduring profitable outcomes for Australian farmers. Ogbonnaya joined GRDC in 2012 from the International Center for Research in Dryland Agriculture (ICARDA), Syria where he led and coordinated multinational and international collaborative R&D initiatives with National Agricultural Research Institutes (NARIs) in Africa, Central Asia and Middle East and Advanced Research Institutions (ARIs) in Australia, Europe and North America and contributed to the formal release of several high-yielding varieties by national research partners in Africa and Central Asia. Together with university lecturers, he has co-supervised thesis research on wheat improvement and mentored many postgraduate students (MSc and PhD), mostly in Africa, Australia, Central Asia, Middle East and European countries for which he received The Jeanie Borlaug Laube Women in Triticum Mentor Award (2012). 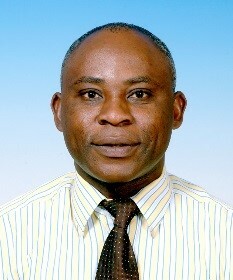 Prior to starting at ICARDA, Ogbonnaya served as Scientist and Senior Research Scientist and led key scientific research team within the Department of Primary Industry Victoria, Biosciences Research Division working on translational research with emphasis on exploiting primary gene pool of wheat to improve cereal cyst nematode control, pre-harvest sprouting tolerance, salinity tolerance, multiple disease resistance and water limited yield improvement in wheat. Ogbonnaya obtained his PhD degree in Agricultural Science (Plant Breeding and Genetics) from the University of Melbourne, Australia, and a B. Agric Science Honours degree from the University of Nigeria, Nsukka. Ogbonnaya has published over 150 papers in referred journals, book chapters and peer reviewed conference papers. Stephen Loss has an Honours degree in Agricultural Science and PhD in Plant Nutrition from the University of WA. He worked as a crop agronomist with the WA Department of Agriculture for a decade, before joining CSBP fertilisers where he managed their field trial program and soil and plant testing services for the 12 years. In 2012 Stephen joined ICARDA based in Amman Jordan to lead an ACIAR funded project promoting conservation agriculture in northern Iraq. When the project ended in 2015, Stephen joined GRDC as an R&D Manager initially in Canberra, and then established their new office in Adelaide. He is currently the Manager of Soils and Nutrition for the southern region. Megan Ryan completed her PhD in Ecology at the Australian National University. In her thesis she compared the growth and nutrition of crops and pastures on organic and conventional farms, with an emphasis on phosphorus and mycorrhizal fungi. Megan then worked at CSIRO Plant Industry in Canberra where she examined the impact of canola on the growth and nutrition (P, Zn, N) of following cereal crops. 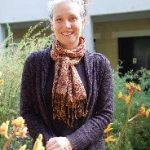 Since 2003, Megan has been at the University of Western Australia where her main research area has been pasture ecology and nutrition. During this time Megan has researched a wide range of topics including the potential for domestication of Australian native perennial legumes as pasture species, development of phosphorus-efficient pasture systems, and root morphological and physiological adaptations that aid phosphorus uptake in pasture legumes, chickpeas and native plants; she has also continued to work on mycorrhizal fungi. Since 2015 Megan has been an ARC Future Fellow; her project is focused on how plants adapt to fluctuating availability of phosphorus. Other recent grants focus on identification and renovation of highly oestrogenic pastures and improving seed harvest of subterranean clover. Megan is also involved in the newly established ALBA (Annual Legume Breeding Australia) joint venture between the University of Western Australia and the company PGG Wrightsons. Daniel Rodriguez is a crop scientist with the Centre for Crops Sciences at the University of Queensland. He leads the Farming Systems Research Team and his work focuses on the development and application of quantitative systems modelling approaches in agriculture. He is a leader in the application of these approaches at the crop and whole farm levels. At the crop levels his work focuses on identifying more profitable and less risky combinations of genetic (G) traits and managements (M) across the multiple environments (E) found in the sub-tropical and tropical summer cropping systems of Australia and Eastern and Southern Africa. At the whole farm level, he is interested in quantifying benefits and trade-offs from alternative farm business designs also in Australia and across Eastern and Southern Africa. He was Chief Editor of Agricultural Systems until 2018. John Passioura has a bachelor’s degree in agricultural science (1958) and a Ph.D. in soil chemistry (1963) from Melbourne University, Australia. He currently holds an emeritus appointment at CSIRO Agriculture in Canberra, and was formerly Chief Research Scientist and Leader of the Crop Adaptation Program there. His research has ranged over: soil chemistry and physics (transport of water and nutrients in soil); plant physiology (water relations, drivers of growth rate and adaptation to abiotic stresses); and wheat pre-breeding and agronomy directed at improving water-limited productivity of dryland crops. He was elected Fellow of the Australian Academy of Science in 1994. He spent 6 years on partial secondment to the Australian Grains Research and Development Organization (GRDC) where he oversaw a portfolio of projects on soil and water management that aimed at improving both the productivity and environmental performance of Australian grain farms. More recently he has written several reviews relating to crop productivity and the pursuit of effective agricultural research. He has also been a consultant to the CGIAR, having undertaking high-level reviews of several of their programs, existing or prospective. Jairo Palta is an Honorary Research Fellow at CSIRO Agriculture & Food in Perth, Western Australia. He is also Adjunct Research Professor at The University of Western Australia Institute of Agriculture & School of Agriculture and Environment and Visiting Research Professor at the Institute of Water and Land Conservation, Chinese Academy of Sciences, in Yangling, Shaanxi China. He completed a Ph.D in Crop Physiology at La Trobe University, Melbourne, Australia and conducted Post-doctoral research at the Centre for Arid-Zone Studies at University of Bangor, North Wales, UK, and the the Lab of Nuclear Medicine and Radiation Biology of the University of California, Los Angeles (UCLA). He held positions with the International Center for Tropical Agriculture (CIAT) and CSIRO Plant Industry. At CSIRO he was the leader of the Subprogram “Improving Crop and Pasture Production and Quality”, acting leader of the program “Improvement of Rainfed Crops and Pastures”. He also served as Seconded Scientist for the Cooperative Research Centre for Legumes in Mediterranean Agriculture (CLIMA), was member of the Review Panel for the UNEP project “Structure and stability of plant communities in response to drought in East Africa” and the Environmental Physiology Panel for the Ecological Research Division of the US Department of Energy. He is currently involved in several international research initiatives (Expert Working Group [EWG] on Adaptation of Wheat to Abiotic Stress, Nutrient Use Efficiency and Heat and Drought Wheat Improvement Consortium [HeDWIC]. He is one of the Editor-in-Chief of Field Crops Research, Consulting Editor for Plant and Soil, Associate Editor for Crop and Pasture Science, Functional Plant Biology and Frontiers of Plant Sciences. He has published over 160 papers in referred journals and as book chapters and is the editor of two books. Peter Hayman is an agricultural scientist who has worked on the application of climate science to farming systems. His focus on low rainfall cropping and irrigated viticulture in southern Australia but has been involved in climate risk projects in Philippines, Cambodia, Sri Lanka and India. 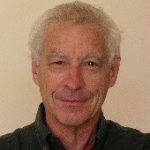 In 2004 he was appointed as Principal Scientist, Climate Applications with SARDI, prior to that time he was coordinator of climate applications in NSW DPI. He has worked closely with climate scientists, crop modellers, economists and farmers with a main interest on how the advances of climate science can be communicated and used in decision making. Mariano Cossani is Senior Research Agronomist with SARDI, working on crop ecophysiology and abiotic stress adaptation. Mariano has an Agronomy Engineer degree from the University of Buenos Aires, and a Masters and a Ph. D. by the University of Lleida. His research experience encompasses aspects of resource capture and resource use efficiency of cereals, and adaptation of crops to the climate change effects, such as heat stress and drought. 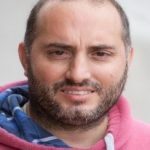 He developed methods based on empirical field data to assess the co-limitation of resources in wheat systems of Mediterranean environments that proved to be useful on other crops as canola. He has been working during five years for CIMMYT of the CGIAR System Organization, where he developed conceptual models for adapting wheat to hot environments through the use of physiological traits, phenotyping and strategic crossing. He has done oral presentations in diverse scientific meetings hold in countries of the five continents of the world.